Mark Morris has been a major figure on the British horror scene since 1989, when Toady, the first of his sixteen novels, was published to critical acclaim and solid sales (the 1990 paperback release debuted at number seven on the bestseller list). When his fourth novel, The Secret of Anatomy, was published by HarperCollins in 1995, he was being called “the new Clive Barker,” but his next few novels were victims of a serious downturn in horror. His 2002 novel Fiddleback was acquired by PanMacmillan and received a significant advance from Random House for an American release . . . provided Mr. Morris changed his name to the gender-neutral “J. M. Morris,” to reflect the book’s female protagonist. After PanMacmillan passed on his next novel, Morris found success in writing Doctor Who and Torchwood tie-ins, editing nonfiction anthologies of film essays, and contributing short fiction to dozens of anthologies. His most recent releases are the tie-in novel for the Darren Aronofsky film Noah, and Zombie Apocalypse! : Horror Hospital, a stand-alone novel set within the Zombie Apocalypse! world created by editor Stephen Jones. Morris and his family live in Tadcaster, North Yorkshire. As a child, you watched Doctor Who and the Hammer films, and you’ve mentioned both as influences. Was there a point as a child or teenager when you abruptly realized you wanted to make your living writing horror? I’d always loved writing stories from a very early age—when other kids were eking out two or three page stories in their exercise books for English homework, I’d happily rattle off fifteen to twenty stories, which would then be read out in class, to the delight of my schoolmates, because it meant they didn’t have to do any work for that lesson. I’d completed two full-length original Doctor Who novels by the age of twelve (which I’ve still got, hand-written in ring-binder notepads), but it wasn’t really until I graduated from college at the age of twenty-one with no idea what I wanted to for a living that I finally thought: Hmm, maybe I should give this writing lark a proper go? You graduated in 1984 but didn’t sell your first novel, Toady, until 1988. What did you do in those intervening years? As I say, I had no idea what I wanted to do for a living when I left college, so I got hold of a second-hand typewriter and started writing stories and radio plays to fill in the time waiting for responses to jobs I’d applied for. After a while I started getting good feedback to what I was writing, so decided to devote more time to it. I sold a couple of stories to small press magazines, and then eventually managed to sell one to Charles L. Grant for one of his Shadows anthologies after meeting him at the British Fantasy Convention in 1987. I also wrote a horror novel called The Winter Tree during this time, which garnered some good feedback and was a hair’s-breadth away from being published by Sphere, but which I was ultimately unable to sell. I was getting such encouraging signs from publishers and editors, however, that I wrote a second novel called Toady, which ended up being so long that it took me two years to complete, and then I joined the Enterprise Allowance Scheme as a writer, which was set up by Thatcher’s Conservative government with the intention of helping the self-employed to get established during their first year of business. In reality it was simply a way of massaging the unemployment figures, as the government grant you were given to help you along was barely more than the dole, but it did mean that I was given an extra year to market Toady and write a further novel, Stitch, without being forced to join some sort of job scheme in order to maintain the payment of my unemployment benefits. Luckily within six weeks of joining the scheme, Piatkus Books made an offer for the hardback rights to Toady, and then subsequently sold paperback rights to Corgi in the UK. So by the time the EAS money ran out in 1989, the first payments from Toady were beginning to filter through—and I’ve just about managed to keep my head above water as a full-time writer ever since. Toady was published in Great Britain in 1989, and Bantam released it in the U.S. in 1991, under the title The Horror Club. Is it true that the American release was cut by a third? Yes, though I did the cutting, and it was all from the latter, more fantasy-oriented section of the novel. You’ve cited Ramsey Campbell, Clive Barker, and Stephen King as influences. Toady, which starts with a group of suburban schoolboys who’ve formed their own Horror Club, seems most reminiscent of King, although the style is very different. Were you conscious of King’s work while writing that novel? Very much so—and indeed, King’s novel It came out while I was writing Toady, which sent me into despair for a week or two, as It’s and Toady’s basic premises—a group of teenage friends battle against a powerful, shape-changing entity which is slowly taking over their town—are almost identical. For a while I even considered abandoning Toady and writing something different, but by that time I was so far into it, and so fully immersed in it, that in the end I just decided to plough on. And funnily enough, in all the years that Toady has been around, having been re-published and re-issued on several occasions, only one reviewer has ever flagged up the basic plot similarity between the two books. Not long after Toady was published, the horror market bottomed out. What do you think happened—was the market just glutted with badly-written books from the boom in the eighties, or is the genre’s popularity cyclical? If it’s cyclical, it’s been a hell of a long cycle. I think what happened was that in the mid- to late- seventies, after a long fallow period in UK publishing during which the only horror books you could find were Pan and Fontana horror anthologies, cheap and tawdry Jaws knock-offs about killer dogs, spiders, etc., and Dennis Wheatley reissues, suddenly Stephen King and James Herbert burst onto the scene with startlingly modern, high-profile horror novels which actually sold. This led to updated (in terms of packaging) reissues of books by great writers like Robert Bloch, Richard Matheson and Ramsey Campbell, plus a whole host of new writers, some of whom were very good and are still around—or at least fondly remembered—and many of whom are now long-forgotten. The genre was given a further boost in the mid-eighties when Clive Barker came on the scene, the resultant excitement and enthusiasm prompting a new tide of horror writers, one of whom, I’m pleased to say, was me. In the late eighties, when Toady came out, horror was massive. The paperback of Toady, for instance, was given a huge amount of publicity, enough to propel it to number seven in the UK Bestsellers Chart in the first week of release. But then, yes, I think the market reached saturation point. There were so many publishers launching horror lines, and so many publishers frantically hoping to find the “new” Clive Barker, that a lot of bad books were subsequently published. These bad books resulted in poor sales, which then led inevitably to a lack of confidence, even a sense of panic, among UK publishers. And even now, twenty years later, we’re still feeling the effects of that. Apart from a few isolated cases, which provide glimmers of hope for the future, we’re still being told that horror doesn’t sell—or rather that in order to sell it has to be disguised and marketed as something else. Throughout the nineties you wrote a number of highly-regarded horror novels, including Stitch (which was acquired in the U.S. for the Dell Abyss line) and The Secret of Anatomy, which was purchased by HarperCollins with the intent of pitching you as “the new Clive Barker.” Was that comparison flattering or terrifying? It was inevitable, I think, but it hampered me professionally to some extent, in that it soon became obvious that all publishers wanted from me were big, apocalyptic, phantasmagorical, multi-viewpoint horror novels. I lost a couple of publishers by going against the grain—most notably when I followed up The Secret of Anatomy with a grim, intense, self-contained psycho-thriller called Mr. Bad Face, which contained only an ambiguous glimmer of supernatural content. I must point out, however, that I feel no resentment towards Clive at all. Though I rarely see him these days, I still regard him as a mate—and indeed he endorsed my work many years ago with a lovely quote which publishers are still using to this day. You had your greatest financial success with the novel Fiddleback, which was published with the author name “J. M. Morris” because the book featured a female protagonist and was told in first person. Were you ever uncomfortable with the name change, which was designed to suggest that Fiddleback’s author was female? I was a bit disappointed at the time, I think, because obviously I’d built up a bit of a reputation and a following with my own name, so I remember feeling anxious to ensure that my readers wouldn’t think I’d completely disappeared from the scene. As it was, the J.M. Morris name only lasted for one book, the reason being that it didn’t occur to me—and my editor at the time didn’t think to mention it—that from Fiddleback onwards my publisher would expect every J.M. Morris book to have a female protagonist. As I remember it, it took a while to sell Fiddleback (this was the point at which my long association with Piatkus came to an end), by which time I’d already started work on my next novel, which was called Nowhere Near an Angel. Now, the problem with this book, from Pan Macmillan’s point of view, was that it featured a male protagonist, which left me with three choices: Either I could try to rework the story so that it featured a female protagonist (which I quickly realized was impossible), I could scrap the whole thing and come up with something else (which, when you’re committed to and passionate about a particular story—as every writer will tell you—is a bit like trying to force a runaway juggernaut to do a U-turn), or I could plough on, finish Nowhere Near an Angel, sell it to an independent publisher to produce as a limited edition hardback, and then come up with another story featuring a female protagonist, which Pan Macmillan could then publish as the J.M. Morris follow-up to Fiddleback. So I went with the third option. I finished Nowhere Near an Angel and sold it to PS Publishing, and then came up with an idea for a novel called Cold Harbour about a woman who is lured back to the seaside town of her childhood in search of her missing husband and son. Unfortunately, however, we were a couple of years down the line from Fiddleback by this time, and I suspect that sales of the book hadn’t been as healthy as either my UK or US publishers had hoped, and so Pan passed on Cold Harbour, saying that we’d missed the boat and had failed to follow up on Fiddleback’s momentum. As it happened, Cold Harbour proved to be a problematical book, which it took me a long time to get a handle on. I rewrote it and rewrote it, and kept re-working the story, until I was happy with it. I started it in . . . what? 2004? And it’s finally being published later this year, again by PS Publishing, under the title The Black. 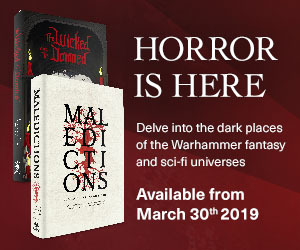 You’ve also produced an impressive amount of short fiction, which has appeared in such prestigious anthology series as Shadows, Dark Terrors, The Year’s Best Horror and Best New Horror, to say nothing of two collections. When you’re a working writer struggling to pound out 1,000 words or more a day to meet deadlines, do you ever feel guilty about taking time away from novels for short fiction? I only tend to write short stories if I’m specifically commissioned to do so these days, and gone are the days—except in very rare circumstances—when I’ll write a short story for little or no money. But no, I don’t feel guilty. I adore short fiction. I read a huge amount of anthologies and single-author collections, and in fact my introduction to horror fiction was almost exclusively via short fiction—as an adolescent I devoured the Armada, Pan, and Fontana horror and ghost story collections, and many other anthologies besides: the Peter Haining stuff, the Alfred Hitchcock stuff, books with titles like Ghosts, Spooks, and Spectres and Ghosts and Spirits of Many Lands. I don’t think I read an actual horror novel until I was thirteen or fourteen, which was when I discovered King and Herbert. I truly believe—and I’ve said this before—that short fiction is the life-blood of the horror genre. But, you know, it’s interesting—when I speak to fellow writers who are relatively new to the scene, newer than me anyway, such as, for instance, Gary McMahon, who’s become a good friend over the past few years, they always have this inkling that I’ve written a lot more short fiction than I actually have. In a twenty-five year career I’ve only written about fifty to sixty stories, and I’ve only appeared in Best New Horror three or four times out of—what?—twenty-odd volumes? Compared to my contemporaries, like Nick Royle and Conrad Williams, who’ve each written at least a couple of hundred stories, my output is fairly pitiful. I’ve often thought how nice it would be to spend an entire year just writing short stories, but unfortunately you can’t make a living doing that, besides which I’m not sure I’d be able to come up with enough ideas—which is always the hardest part of the writing process for me. Some of your short fiction seems more surreal than your longer work. Is the short fiction perhaps where the influence of Campbell and Barker comes more into play? Yes, I think so. You can do surreal stuff in novels, but in general they have to be more commercial, more accessible, so that they appeal to as many people as possible. Plus it’s hard to sustain a sense of weirdness over 80,000 words without it becoming tiresome or irritating for the reader—though some writers have managed it. But the beauty of short fiction is that you can often be weird without having to explain the weirdness. Some of my favourite short stories are ones in which the writer introduces surreal elements or concepts into the narrative, which have their own internal logic and are simply accepted as part of the everyday world within the story, to create an atmosphere of threat or dread. In the award-winning collection of horror movie essays you edited (Cinema Macabre), you surprised some readers by choosing Hammer’s The Reptile—a movie you first discovered as an adolescent—for your article. Is part of horror’s appeal that it allows us to connect with how we experienced emotions at a younger age? Absolutely. The world is so vivid when you’re young, and emotions and reactions are so raw and extreme. The highs are certainly higher, probably because as a child or a teenager you can devote yourself whole-heartedly to whatever you’re engaged with at that particular moment—and, on a personal level, I’m thinking specifically here of movies and TV shows I watched, music I listened to and books I read—and you don’t have a million other everyday responsibilities and concerns niggling away at you and distracting you. Much as I still love movies, books, music, and TV shows, I don’t find myself becoming as absorbed in them or as wholly transported by them as I used to be when I was ten or twelve or fourteen. This is nothing to do with the quality of the material, but entirely to do with how my attitudes and perceptions have changed over the years. For that reason seminal influences acquire a mystique and a magic; certain films or books or songs or TV shows set off happy, nostalgic triggers inside me, which their modern counterparts can’t hope to emulate because they don’t carry the same weight of pure, unadulterated memory and emotion. Hammer and Amicus films terrified me when I was younger, as did Doctor Who when I was younger still, sometimes to the point where I would literally be rigid with terror. And yet oddly I look back on those viewing experiences with enormous affection, and indeed am disappointed nowadays whenever I watch a modern horror film that doesn’t have that effect on me . . . which I have to admit is ninety-nine percent of the time. I feel a sense of exhilaration these days when I see a film that actually scares me. And I feel the same on the rare occasions when a book carries me along to such an extent that I stop being aware of what page I’m on, or forget about the million and one other things I should be doing instead of reading it. Has this answered the question? I hope so. It’s probably a very long-winded way of saying that, purely because of when I watched it, and the circumstances in which I watched it, The Reptile had a very profound effect on me, as a result of which I will love it forever. Over the last decade, you’ve written a number of movie and television tie-in novels, including Doctor Who titles. That must have been immensely satisfying for you. Doctor Who is my first love. It’s the first thing that terrified me, the first thing that captured my imagination and made me realize how much I loved monsters and spaceships and scary stuff. And so yes, to be given the opportunity to contribute to that world, to that vast and amazing canon of material, is a dream come true. As well as novels and novellas, I’ve also written several Doctor Who audio dramas, and what is particularly magical is hearing my dialogue spoken by actual Doctors—by Peter Davison and Sylvester McCoy—and creating characters which are then brought to life by amazing actors like Benedict Cumberbatch, Liza Tarbuck, Keith Barron, and Timothy West. Tie-in work is often hard—on several occasions I’ve had to write an 80,000 word novel in four weeks—but I never fail to find it a satisfying challenge and it’s always fun playing with other people’s toys. I know some writers who are a bit sneery about it, who regard it as word-whoring, but I don’t see it that way. I’m a jobbing writer and I like to think I can turn my hand to anything. And I’m a big admirer of people like John Burke, who did a huge amount of tie-in work whilst still producing his own, often excellent novels and short stories and scripts. Your most recent release is a different kind of tie-in: Zombie Apocalypse! : Horror Hospital is a stand-alone novel that ties into the shared-world anthology series Zombie Apocalypse!, created and edited by Stephen Jones. How did that job come about? I’ve known Steve for years, and it really just started out when he and I had a chat one day at a social gathering—Sarah Pinborough’s fortieth birthday party, if I remember correctly—about tie-in novels. Steve knew I’d written tie-in novels for Doctor Who, Torchwood, Hellboy, Dead Island, etc., and was eager to expand Zombie Apocalypse! into that area. He told me that if he managed to get the project up and running his aim would be to start with one UK-based novel and one US-based novel, and that he would like me to write the UK book—so even at that very early stage he had very definite plans. This is one of the many things I like about Steve and that I have huge admiration for—he’s very single-minded and determined and has a very clear vision. Added to which, he’s incredibly loyal to the writers who work for him, and always strives to get the very best deal he can for everyone, which is not always easy in the current publishing climate. You weren’t involved with any of the other Zombie Apocalypse! volumes. Did that present any special difficulties for you when it came to writing a novel that had to incorporate characters and situations from the dozens of short stories found in the anthologies? No, not really, because I’d read them—or at least, I’d read the first one and had a copy of the second, which I then subsequently read. The greatest difficulty was in staying true to the time-lines and the characters that had already been established, and of not contradicting anything that had gone before. In the Zombie Apocalypse! books, a virus (called “HRV”, or “Human Reanimation Virus”) is at the heart of the transformation and resurrection of the dead, and many of the stories in the anthologies—which recreate things like medical reports—are explicitly technical. How did you go about researching that aspect of Horror Hospital? Fortunately the medical reports are written—or mostly written—by John Llewellyn Probert, who makes his “proper” living as a surgeon and who is a good friend of mine, so if there was anything I needed to know I just dropped John an email. The nursing and paramedic and ambulance staff material in the book was partly a result of on-line research and partly a result of putting an appeal on Facebook for any nurses, paramedics, etc. to contact me so that I could ask them questions about their jobs for a book I was writing. I got a pretty good response to that, and a few of the people who replied to my plea were incredibly generous with their time and wrote long, detailed answers to my no-doubt often silly questions. At one point you and Tim Lebbon were co-writing a YA horror novel. Is there a chance we’ll be seeing that in the future? We’re still writing it! The problem is we’ve both been so busy over the past eighteen months or so that it’s been sitting in limbo until we can free up some time to work on it. It’s about eighty percent done, barring rewrites, so I’m hoping we can finish it towards the tail-end of this year. The problem is we’re writing it on spec, so it keeps being put on the back burner while we concentrate on the stuff we’re actually being paid for. But we’re both really pleased with it, and if we finish it and get a deal for it and the publisher, whoever that might be, is interested in turning it into a series (which is our intention), then we’ll no doubt write the second book a hell of a lot faster. You frequently attend conventions and have been somewhat involved with the British Fantasy Society, and you once said, “For me, being among other writers is like being plugged into a massive, never-ending socket of creativity.” How important is it to you to be part of a community of writers? Would you continue to craft horror if that community suddenly vanished? Good question. When I started out I didn’t know any other writers, so I guess the answer to the second part of your question would be yes. But it’s massively important to me to be a part of the horror/fantasy community. Most of my best friends, my lifelong friends, are writers, and we share so much in terms of enthusiasms, attitudes, experiences, even senses of humour, that I can’t now imagine my life without that incredible support network. To me, being among other writers, other creative people, is exhilarating. It may be a cliché, but when I’m with my writer friends I get an energy, a buzz, that I don’t get elsewhere. I feel content. It’s like I’ve found my niche. It’s like I’ve come home. Lisa Morton is a screenwriter, author of non-fiction books, and award-winning prose writer whose work was described by the American Library Association’s Readers’ Advisory Guide to Horror as “consistently dark, unsettling, and frightening”. She is the author of four novels and more than 130 short stories, a six-time winner of the Bram Stoker Award®, and a world-class Halloween expert who has been interviewed by The Wall Street Journal, Real Simple Magazine, and The History Channel (for The Real Story of Halloween). She co-edited (with Ellen Datlow) the anthology Haunted Nights, which received a starred review in Publishers Weekly; other recent releases include Ghosts: A Haunted History and the collection The Samhanach and Other Halloween Treats. 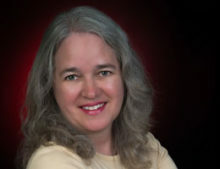 Lisa lives in the San Fernando Valley and online at lisamorton.com.